(Above): Home Again broadcast on Dutch television! I was so honoured to find out from a friend who saw it on TV and I found out afterwards. 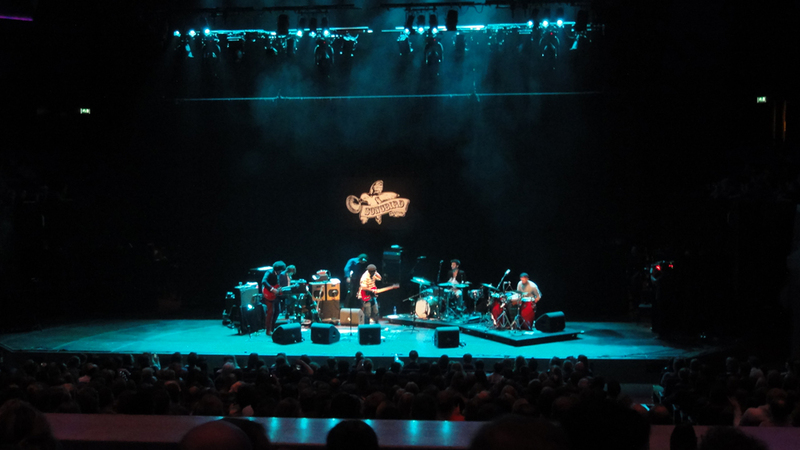 The day before Songbird Festival I was called by Michael Kiwanuka's tour manager to ask if I would like to come to the show in Tivoli, Utrecht and also perform at Songbird in Rotterdam. This one came as a complete surprise. I'd spoken to Michael before about this and they were enthusiastic about me playing but to finally get that call I was really overwhelmed. So I arrive at the artist reception to get my wristband and Lianne La Havas walks passed to go to her dressing room. Wow, I thought to myself. I was really IN the action. Then I went to Michael's dressing room and got introduced to the crew and band: Michael Kiwanuka (vocals, guitar); Miles James (guitar); Steve Pringle (keyboards); Pete Randall (bass); Lewis Wright (drums); Graham Godfrey (percussion). The next couple of hours were a blur; I went backstage to watch fellow Aussie Matt Corby and sat in the audience for Justin Nozuka to see what the audience would see when I perform. As I went back to the dressing room I bumped into Lianne La Havas. I called her name and while shaking her hand I introduced myself as Janice. It took a split second but she then said "Janice Wong? I heard that you're playing with Michael! So great to actually see you!" How cool! She had seen my video so she knew who I was. I was a bit embarrassed and I even told her that I felt bad! haha. She said she would try come to watch after her performance. Backstage the boys were getting ready - and it's funny what goes on in the dressing room! Miles was bidding on a reverb plate on eBay and won it! The others were doing press-ups, ironing their shirts and doing their hair. Michael was watching a live stream soccer match! It was a bit strange that Michael didn't ask me to rehearse or run through the song at all. It seemed like he trusted me and we were just going to wing it! And luckily, the performance went smoothly. I went on for Home Again and the crowd started cheering at the start of the song. I was so nervous though that I closed my eyes for the first half of the song when it was just Michael and me playing. When I opened my eyes I could see the audience and a couple people in the front row recording with their iPhones. So cool! Afterwards we went for a drink at De Unie with all the bands and crew. Was a great evening! Just wanted to thank Michael again for the opportunity. It was something so special to me. He really enjoyed it as well. His manager said it was the best performance in the tour so far! Below: Backstage looking out into the crowd at de Grote Zaal. It was packed! Below: Michael Kiwanuka's setlist from Songbird Festival, in the dressing room. 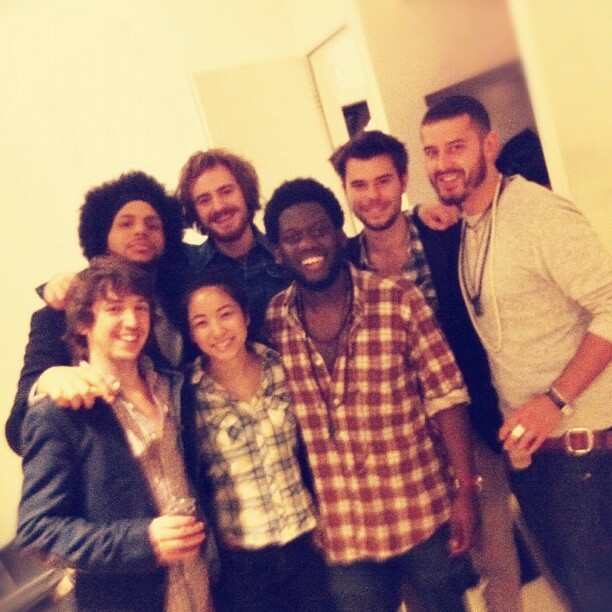 Below: Me and the boys from Michael Kiwanuka's band in the dressing room. They're all so lovely and sweet! 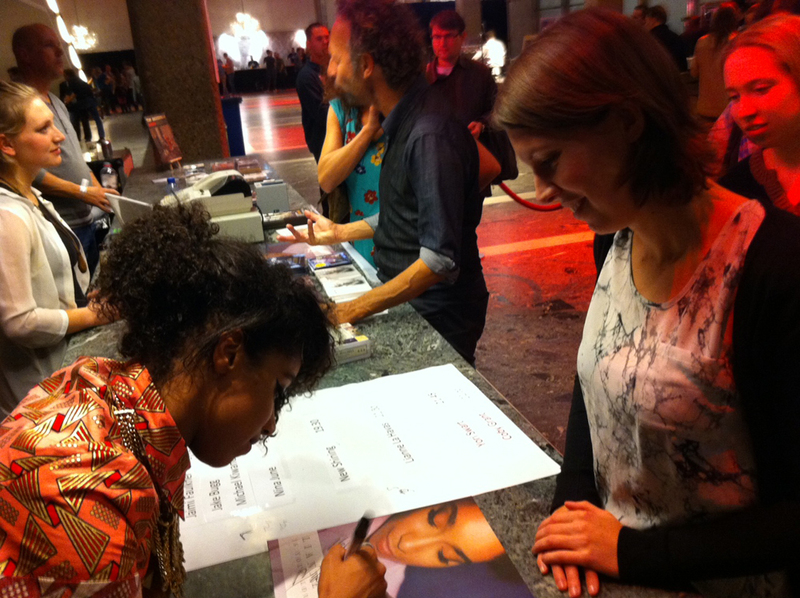 Below: My friend Lieke having her vinyl signed. They have 2 degrees of separation. Small world -x-!